Kalsubai trek always tops the list of upcoming treks in Mumbai. Located in the Ahmednagar District of Maharashtra, Kalsubai offers plenty of opportunities for Travelers, Photographers, Trekkers and Nature lovers. When we think on a global level it is the Mt. Everest which rules every climber’s heart. And when we think of the Sahyadris, it is the mighty Kalsubai peak which blows away the mind of every trekker and nature enthusiasts. 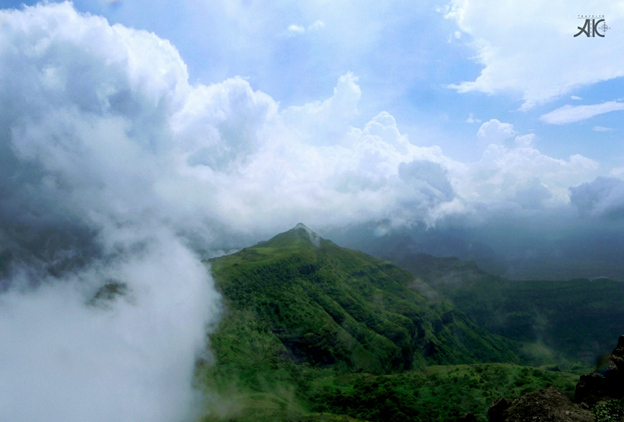 Standing tall at 5400ft above sea level, Overnight Trek to Kalsubai is an exceptionally amazing experience in itself. It is something one can never ever forget in his/ her lifetime. Kalsubai trek always tops the list of upcoming treks in Mumbai. Located in the Ahmednagar District of Maharashtra, Kalsubai offers plenty of opportunities for Travelers, Photographers, Trekkers and Nature lovers. One can say it is God’s special gift for its splendid natural aroma. Throughout the region, while reaching the base village, you are surrounded by the mighty mountains competing vertical horizon. They are so huge and beautiful that you will fall in love with them at first sight itself. 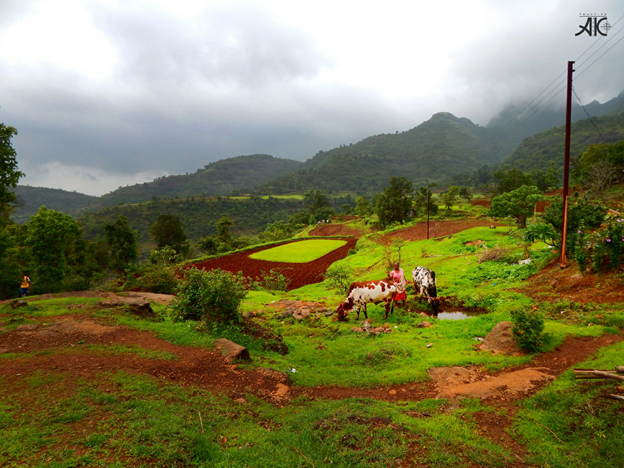 Most of the trekking groups in Maharashtra arrange Kalsubai trek in monsoon season. The base village is typical and traditional Maharashtrian style. 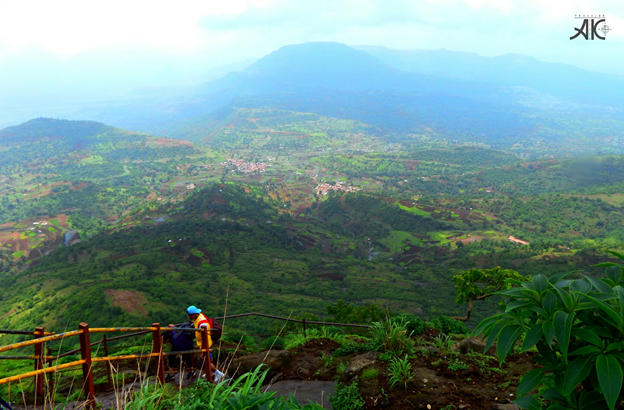 There are two routes for the trek to Kalsubai peak. Villagers here are very humble and so kind that you will be surprised by the humanity they show towards you. In the urban life where we live, such things are so rare to see. Don’t forget to click pictures of the huts on the backdrop of mountains. The lush green fields at the base of Kalsubai Mountain. Throughout the trek, we get to see different dimensions of the surrounding area and it refreshes you on every step you climb. The more we climb towards the peak, the more curious we get about this mountain. It is simply divine in its own way. If you are visiting this trek during monsoon, you will be in the clouds literally. One can even touch those. How amazing, isn’t it? 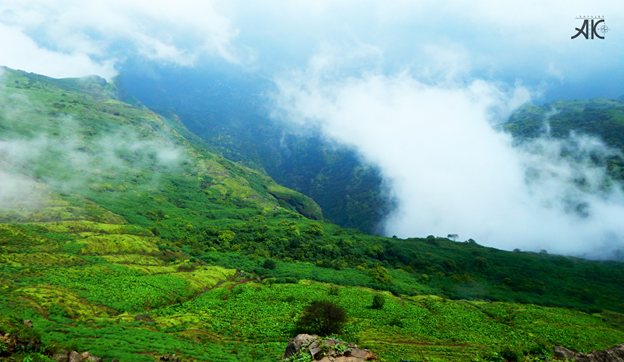 Monsoon season is the peak point of Kalsubai’s extraordinary beauty. You witness the most phenomenal play of clouds, rain and sunshine. This will definitely give you goosebumps. The ladder route is also an attraction point and an experience in itself. The steps go straight upwards and you feel like reaching towards the sky. The rapid wind on the summit is the highlighting point of this trek. It will make you feel the power of the ‘Wind God’. Kalsubai range is a huge range of mountains which holds some of the most stunning forts of the Sahyadris namely- Alang Madan Kulang (AMK), and Ratangad. You got to see all these once the view is clear from the summit. This sight one can never forget. It is very necessary to spend a day in the midst of nature and mountains. Our Urban life is becoming so stressful day by day. Wandering helps to improve our thought process and make our mind more relax and peaceful. 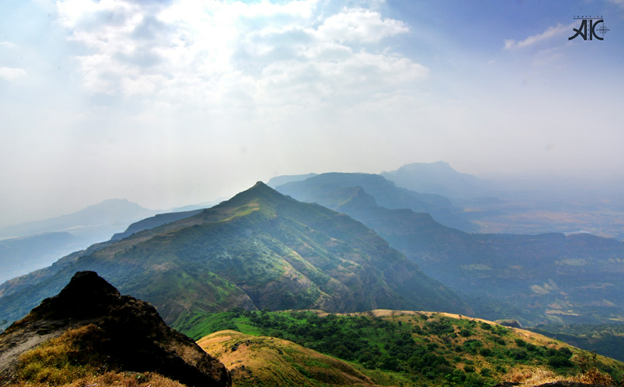 So don’t think too much, just pack your bags and head to the highest peak of Maharashtra- Kalsubai. This scenario resembles Kashmir during summer, isn’t it? Reaching the summit is not that tough task but a little lengthy one. It is a Medium Level trek. However, it is always recommended to plan this trek with an authorized trek organization like ‘Small Steps Adventures’. It has a perfect team of trekking experts who guide participants on every necessary point. Being with experienced trekkers is always a valuable thing and hence one should definitely approach ‘Small Step Adventures’ for the perfect, crisp, disciplined and safe planning of treks. Book your seats immediately with ‘Small Steps Adventures’ for the Unforgettable trek to Kalsubai.